Presiding Officer Norma L. Gonsalves recently attended the 2014 East Meadow High School Senior Awards held at East Meadow High School. 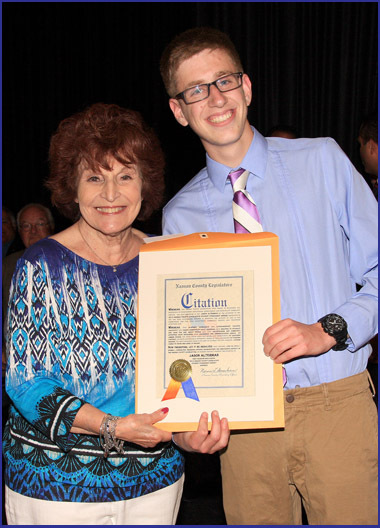 Gonsalves presented the 2014 Nassau County Legislative Student Citizenship Award for East Meadow High School to Jason Alterman. Jason was honored in recognition of his community service, volunteer activities and his academic excellence. Pictured (l-r): Presiding Officer Norma Gonsalves and Jason Alterman.